The Mini Micro is an award winning scooter for preschoolers. It’s innovative design has all the features needed for young beginners whose parents put safety first. Being low to the ground means it’s easy to kick from and there’s not so far to fall. Your preschooler’s balance, co-ordination and motor skills will develop as they quickly become proficient confident scooterers. *Please note: Although the bottom of the scooter shows a weight limit of 20kg, the Mini Micro is designed with a weight recommendation of 35kg. The reason for the difference: European standards dictate that weights are displayed as 20, 50 or 100kg. Q. 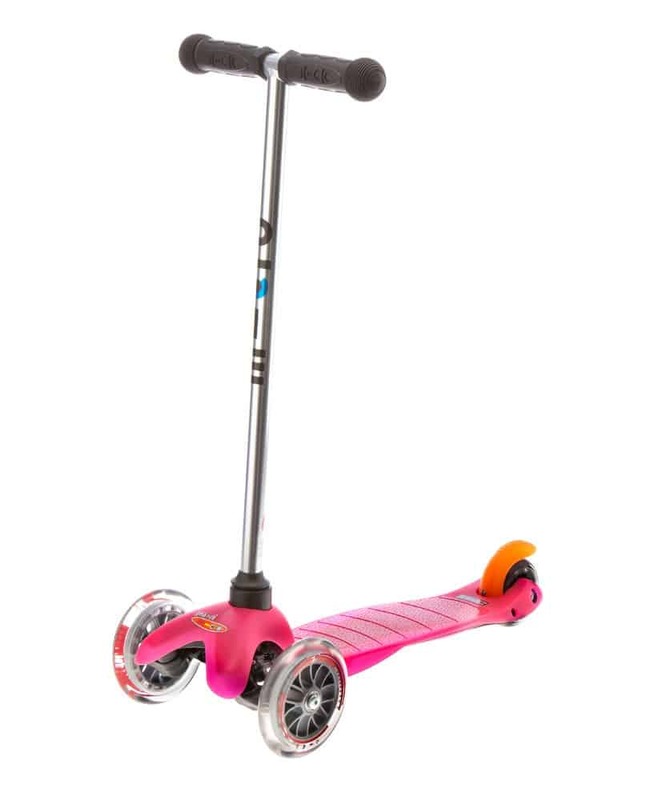 Is the Mini Micro Scooter right for my child? 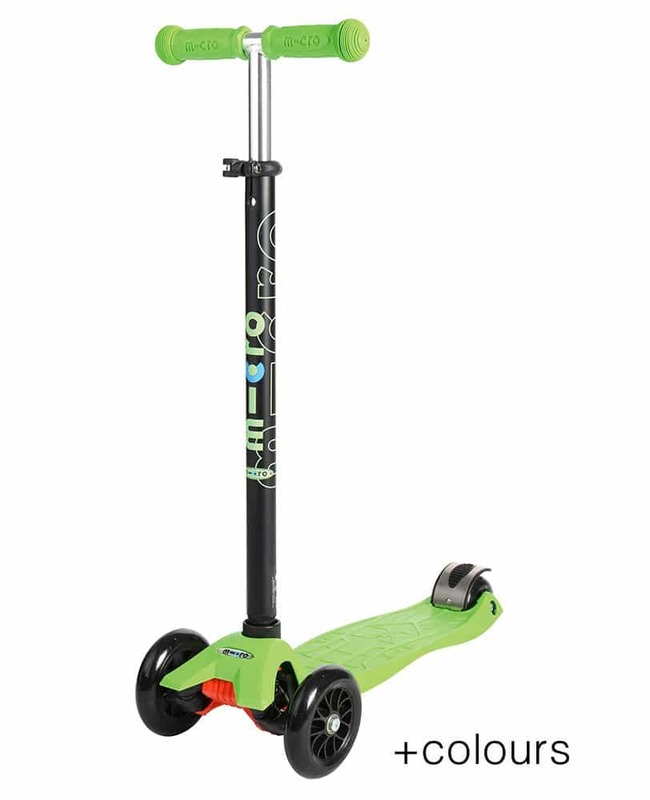 The Mini Micro Scooter is great for any young child who seeks fun and adventure outdoors. The Mini Micro has been innovatively designed for pre-school children aged 3 to 5 and can withstand a weight of up to 35kg. 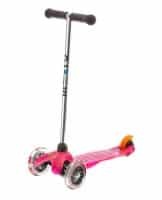 To aid in the development of sharp motor skills, the Mini Micro features ‘lean to steer’ style scooting to give your child the best possible start in life. 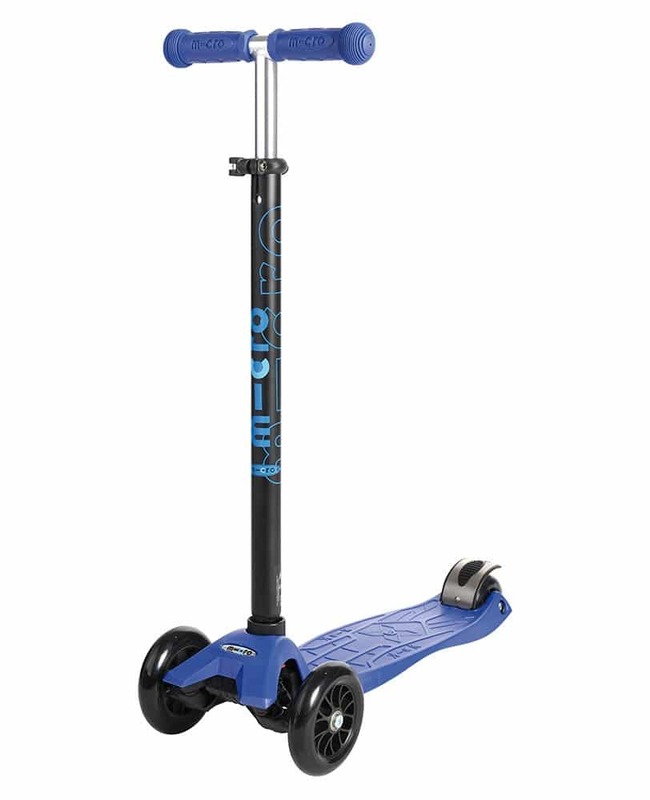 With three strong wheels for balance and durable handle grips, your child can learn to ride with confidence. No, the handlebar cannot be adjusted. The height of the handlebar is 66cm, suitable for a child who is 98 – 110cm in height. The handlebar can however be removed from the base, making the scooter very easy to store and transport. Q. How safe is the Mini Micro Scooter? Every Micro Scooter is rigorously tested to the highest European standards to ensure your child’s safety, giving you peace of mind. The aluminium frame of the Mini Micro Scooter is strong and the handle grips are hardwearing. What’s more, the brake has been ingeniously designed to stop the scooter when the pressure of a young child’s foot is applied. 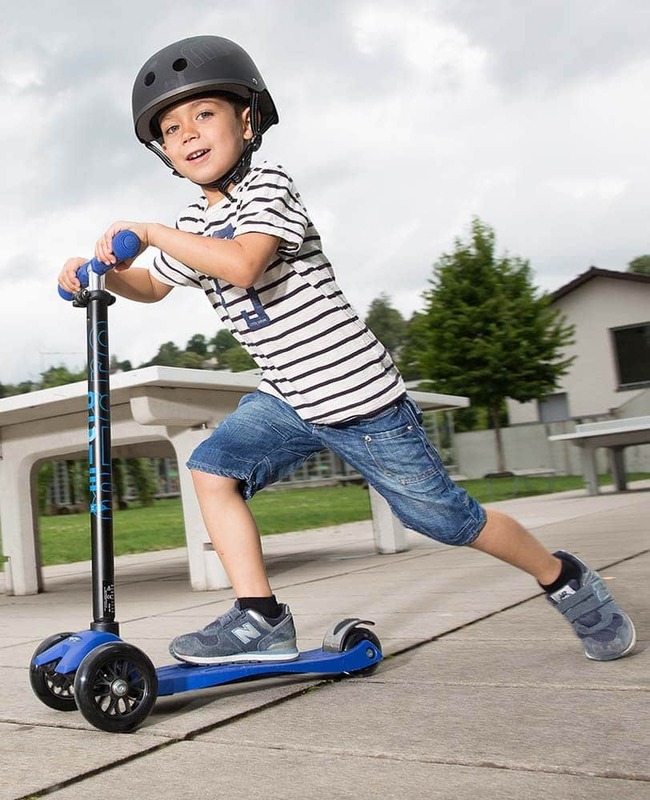 With exceptional Swiss design and superior engineering, a Micro Scooter is the safest set of wheels for your child. Q. What else do I need to know about the Mini Micro scooter? The scooter is suitable for children who weigh up to 35kg. The Mini Micro itself weighs 1.9kg. 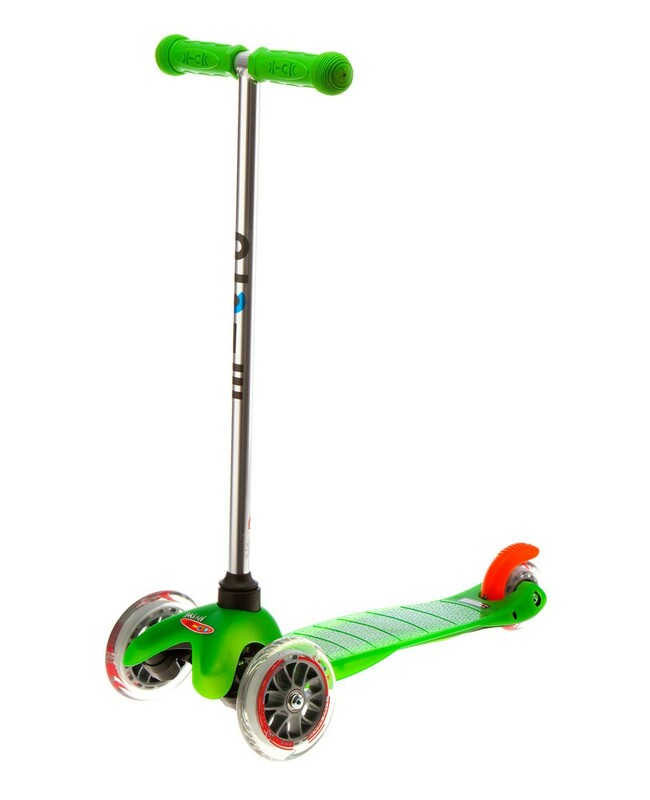 We believe the Mini Micro scooter is the best scooter for young children. Aside from its technical superiority, the Mini Micro enjoys its world wide popularity with children and parents alike because it gives them freedom and independence they have been longing for. No more buggy tantrums, getting out of the house becomes hassle free and being out of the house becomes more fun for everyone. Swiss designed and engineered the Mini Micro’s quality components include non-marking PU wheels, a flexible fibreglass reinforced footplate to absorb bumps in the pavement allowing for a smooth ride and durable handle grips. Nothing beats the original. It is the very reason we founded this company. Q. Will I need any replacement parts for my Mini Micro Scooter? At Micro Scooters we promise quality and longevity, so it is unlikely that you will experience any problems. However, we do stock replacements for every part of your Mini Micro on our website. If you have any questions about making a repair or choosing the correct part our professional, friendly customer service team are here to give advice and guidance.